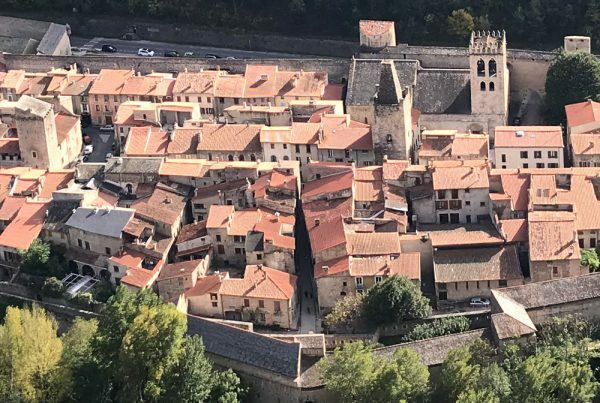 Spring is the perfect time to visit one of France’s most beautiful villages: Saint-Guilhem-le-Désert. I have been here in Winter and was kind of disappointed. 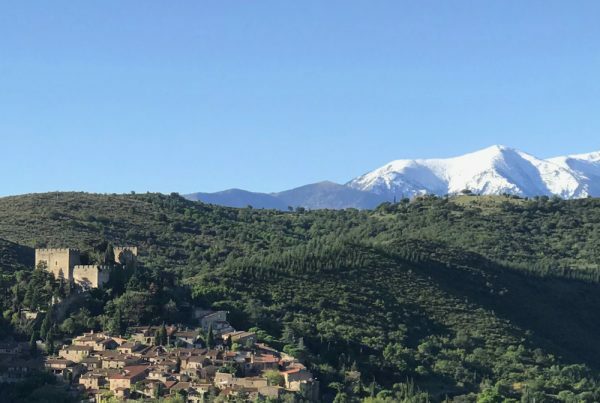 But now in Spring, I completely understand why this lovely village is listed as one of the most beautiful in France and even as a Grand Site de France and a UNESCO World Heritage Site. So expectations for my visit were high! Saint-Guilhem-le-Désert is situated in the “Parc Naturel Régional du Haut-Languedoc” and beautifully surrounded by wonderful countryside. 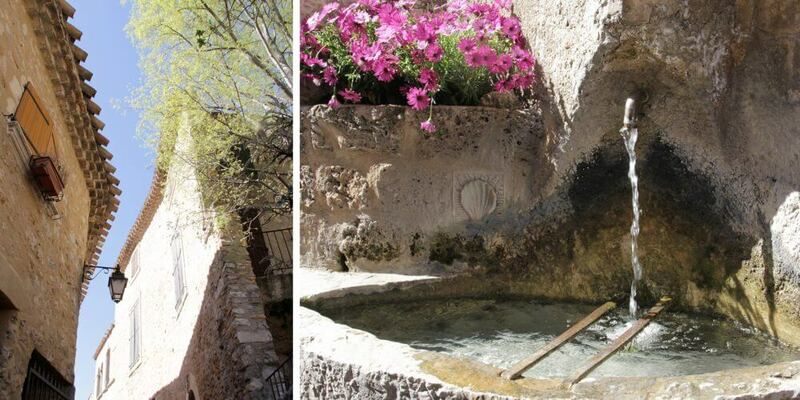 When you walk the narrow streets and admire the charming houses, this medieval village will transport you back in time. 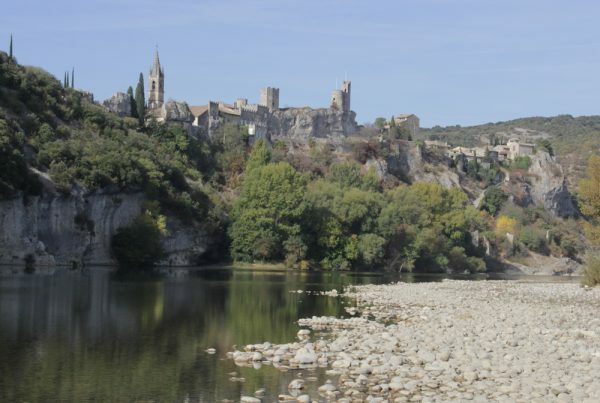 It all started way back in the year 804 when Guilhem, Count of Toulouse, Duke of Aquitaine, and cousin of Charlemagne, founded the Abbey of Gellone. Guilhem – Occitan for William – was renowned for his military actions against the Saracens to protect the southern border of the Frankish empire. After taking control of Barcelona in 803, he decided to lay down his weapons and become a monk. Charlemagne had given a relic to Guilhem as a present, containing pieces of the True Cross. Because of this relic, the Gellone Abbey attracted many pilgrims on the pilgrimage to Saint James’s Way or Santiago de Compostela. 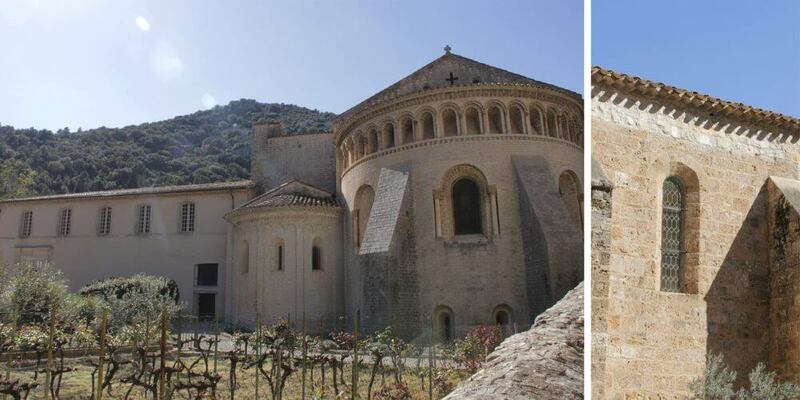 It became such a popular stop that eventually a village was formed around the Abbey: Saint-Guilhem-le-Désert. Even today, the village is still very popular. Tourists mainly, I didn’t see many pilgrims… The weather was just perfect. Sun, blue skies and a welcome burst of Spring invited me for the first ice cream of the year. To be enjoyed at the foot of the 150-year-old plane tree on Place de la Liberté. After this break, I continued my stroll through the charming village. 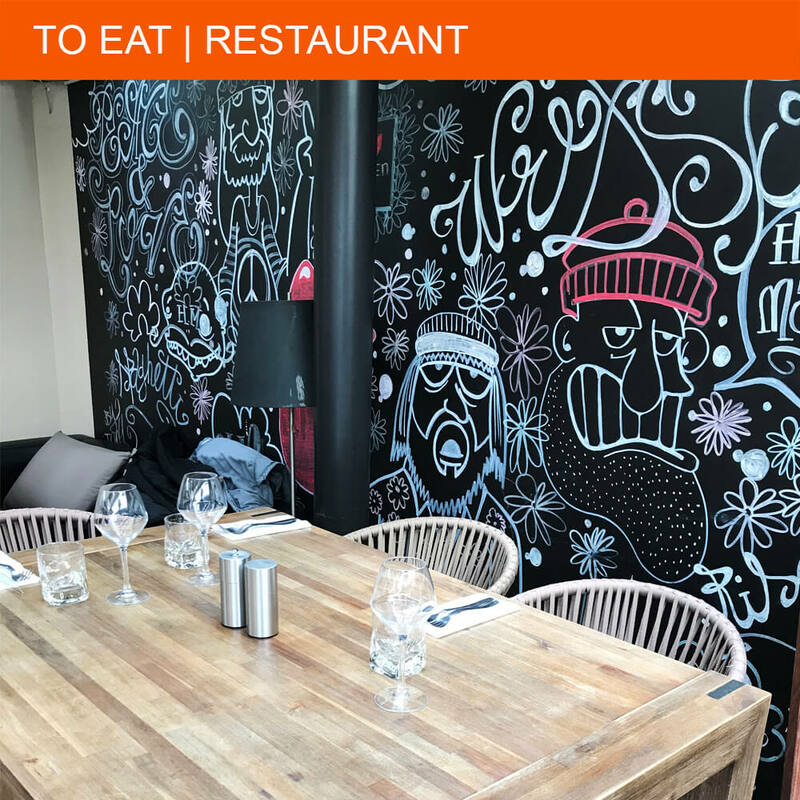 You will find many restaurants in case you are hungry, and I always like the little shops where you can find original and local products. As I explored the village, I saw dried flowers hanging on several doors. Curious as I am, I asked a local about the meaning of these dried thistles. He explained to me that it was a “Cardabelle”, or “Soleil des Herbes” (Sun of the Weeds) as the Larzac shepherds call them. 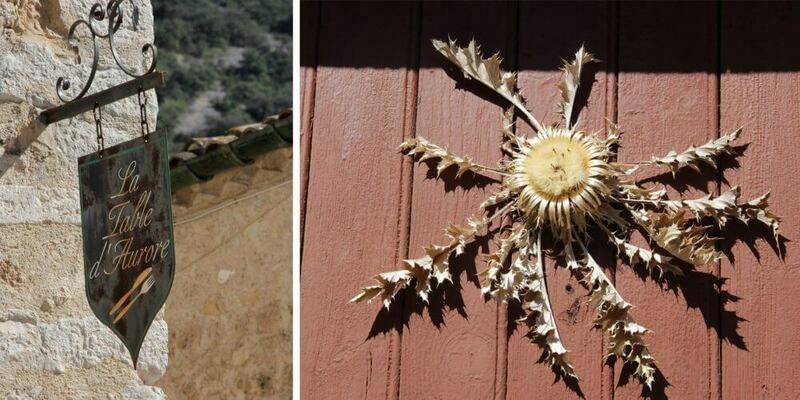 These “suns” hang on the gates of their barns and stables to give protection to their animals. In addition to that, a dried Cardabelle hang on your house will bring luck. 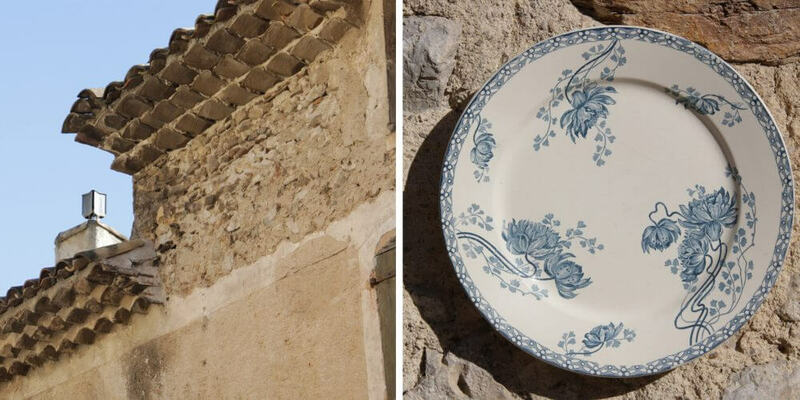 There are a lot of lucky people living in Saint-Guilhem-le-Désert! The best time to visit Saint-Guilhem-le-Désert is Spring or Autumn, as it can get very crowded in Summer. But even then it is worth a visit. Parking Pré des Pères and Parking Saint Laurent. From April to October, you can also park your car for 5 euros at the Maison du Grand Site at the Pont du Diable. 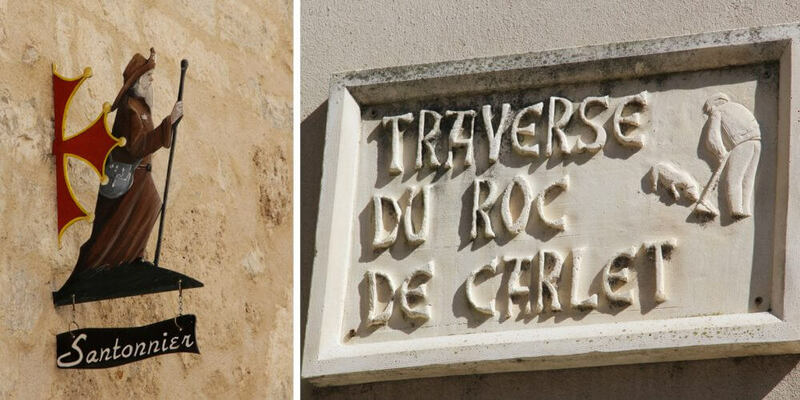 A free shuttle takes you to Saint-Guilhem-le-Désert. Do check this site to see the timetable of the shuttle. In July and August, it goes every day. In May, June and September it only runs during weekends and bank holidays.